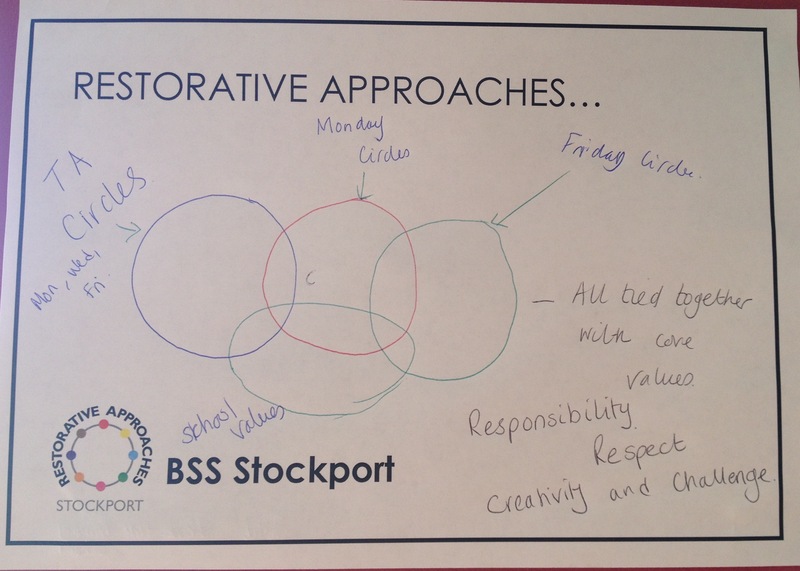 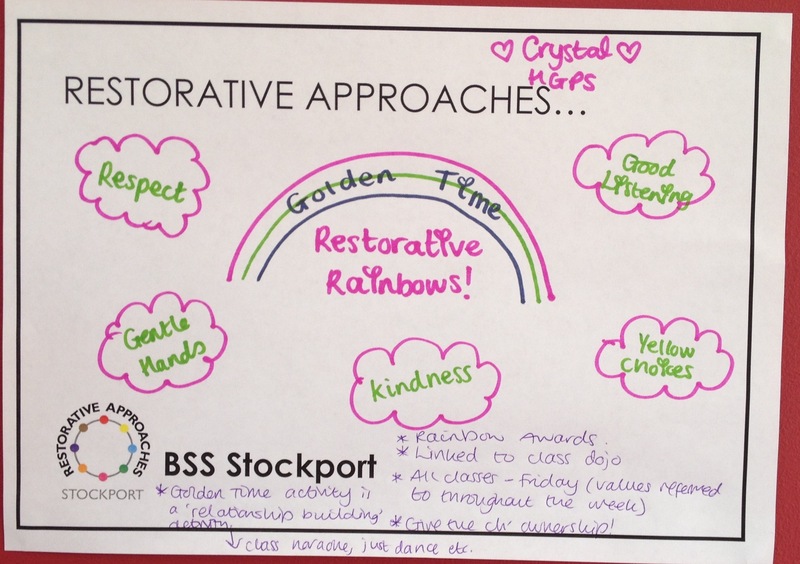 Welcome to Stockport’s Behaviour Support Service’s (BSS) Restorative approaches website. 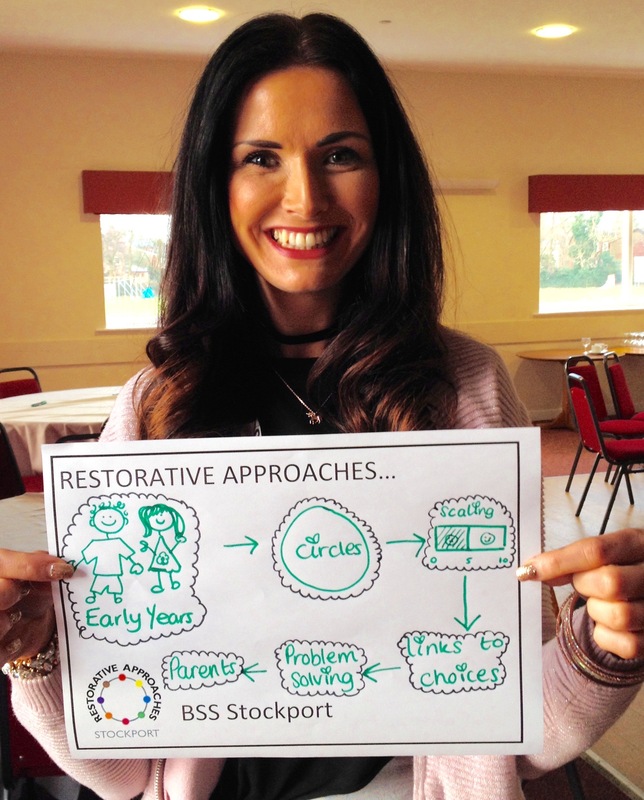 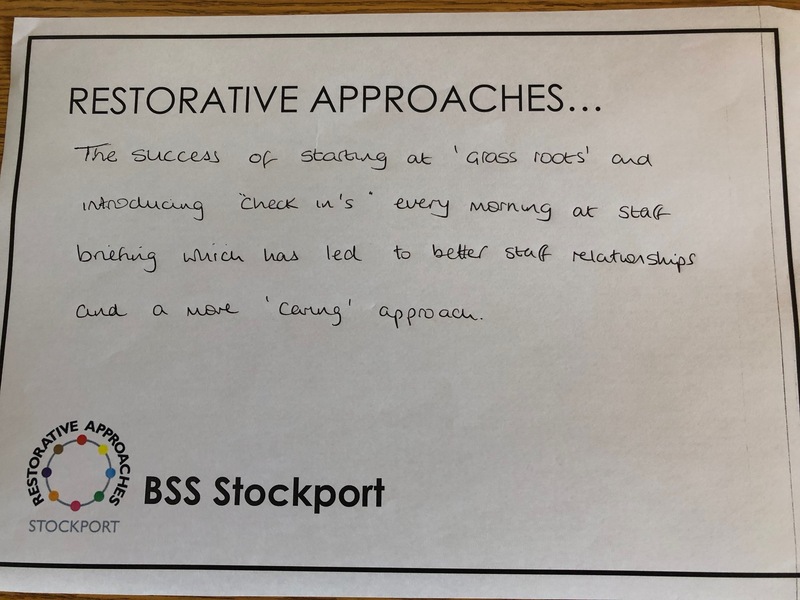 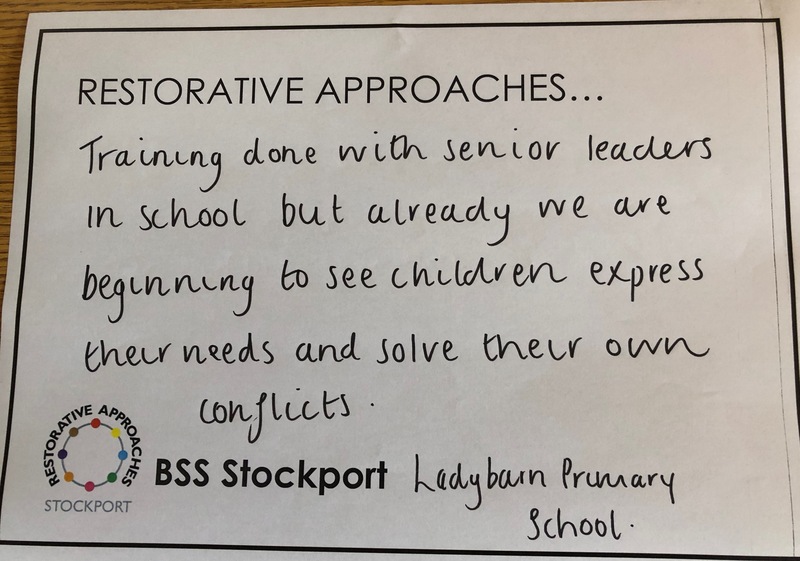 We are a team of educational professionals who have received national recognition for our restorative training from the Restorative Justice Council, alongside winning local acclaim via Stockport Family Awards, for our restorative work. 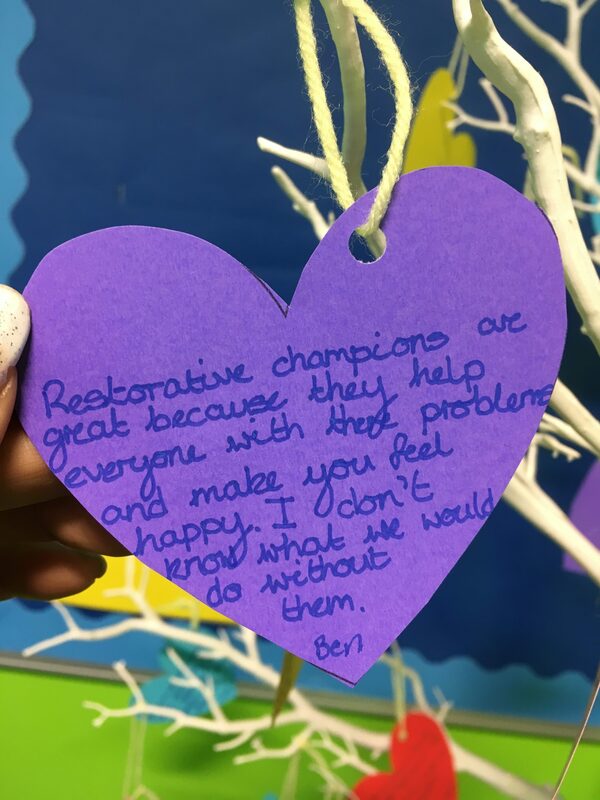 We aim to provide guidance and support for schools who are wishing to develop restorative approaches within their settings. 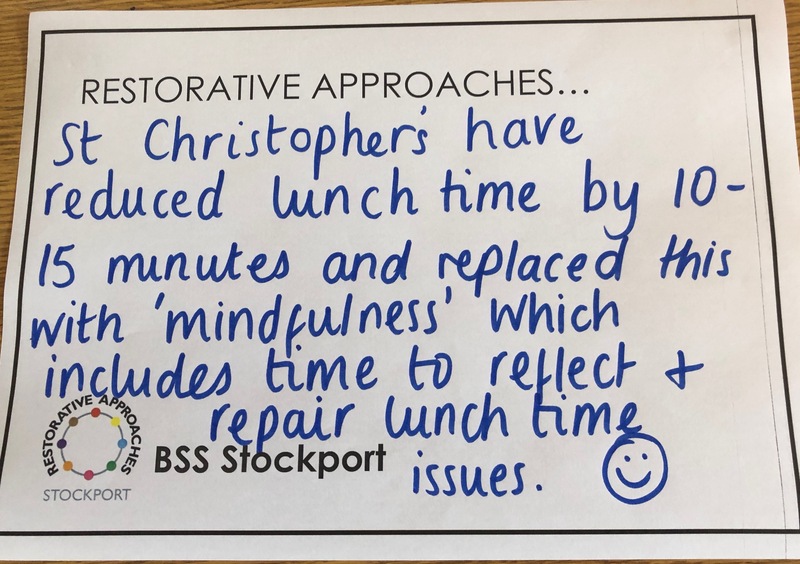 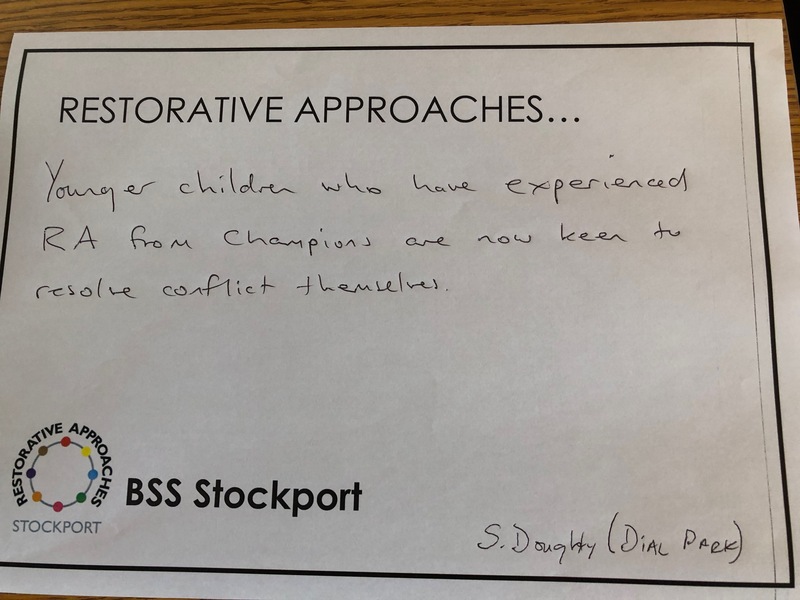 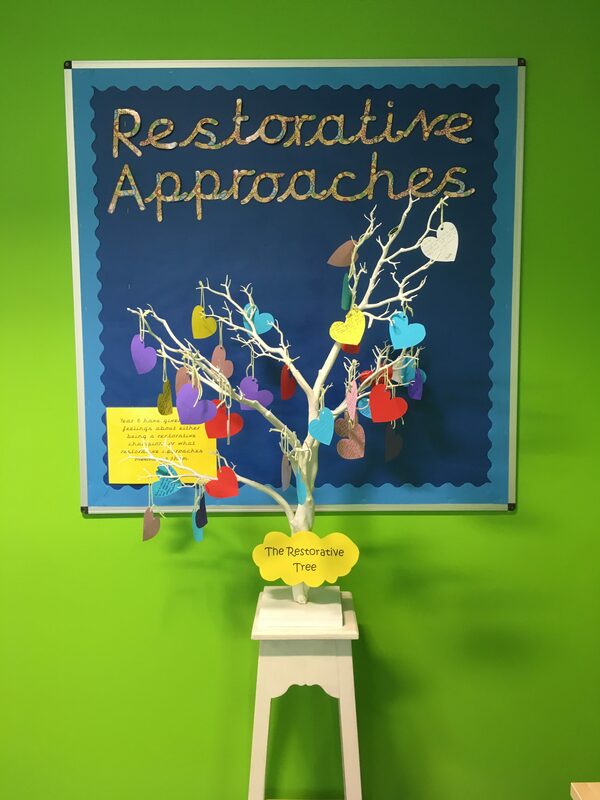 Restorative practice is a term used to describe a way of being, an underpinning ethos, which enables us to build and maintain healthy relationships, resolve difficulties and repair harm when relationships breakdown. 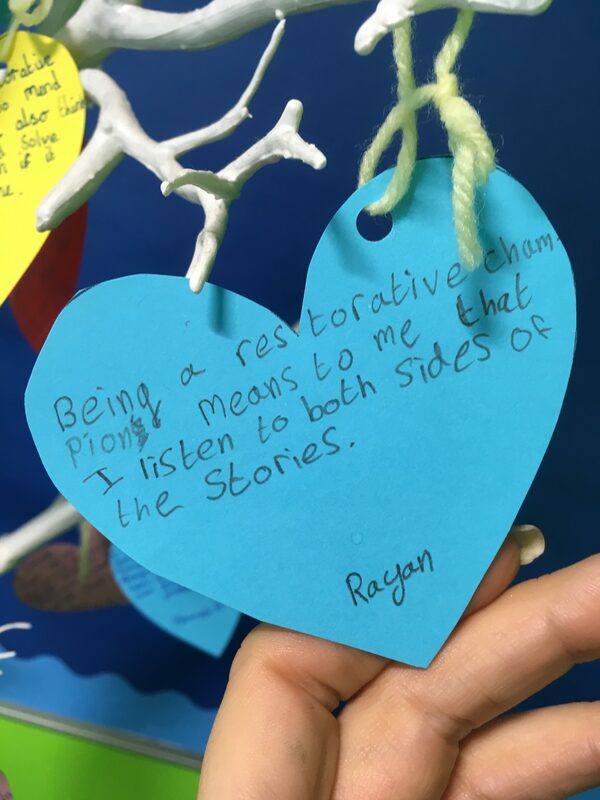 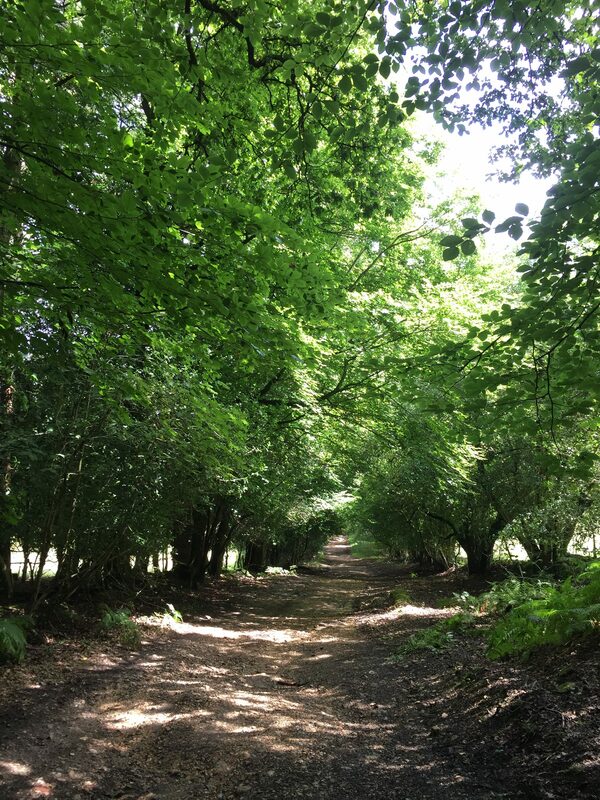 A greater awareness of the importance of connectedness to young people. 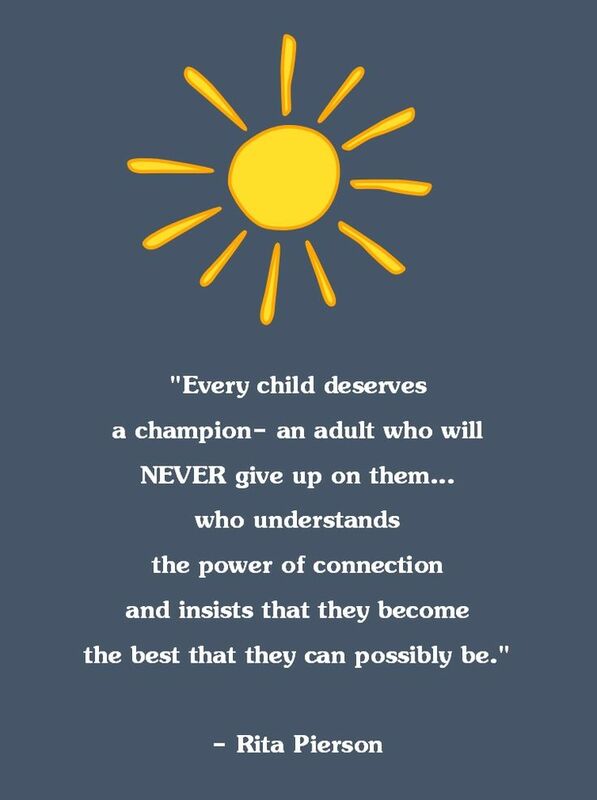 The need to belong and feel valued by peers and significant adults. 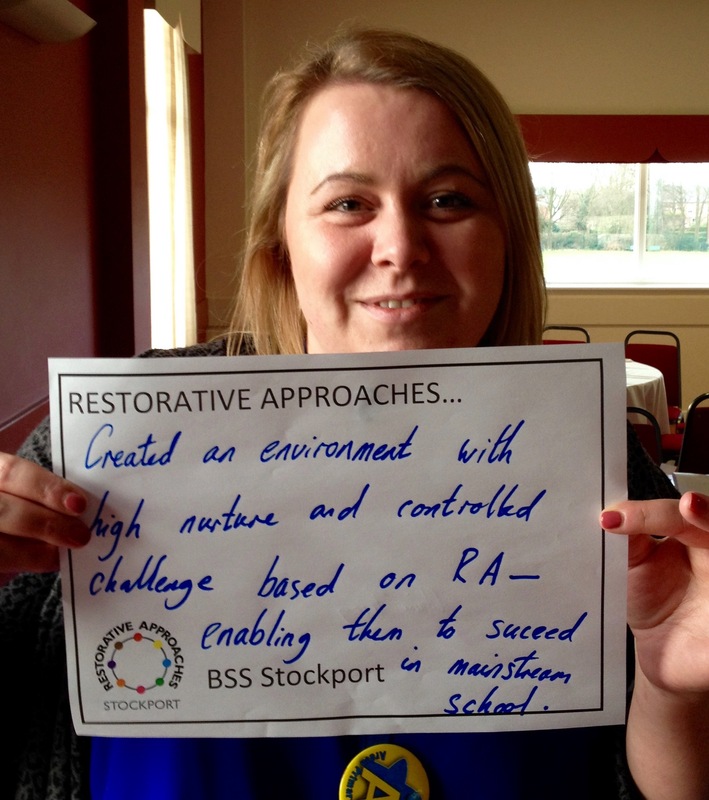 Reductions in fixed term and permanent exclusions. 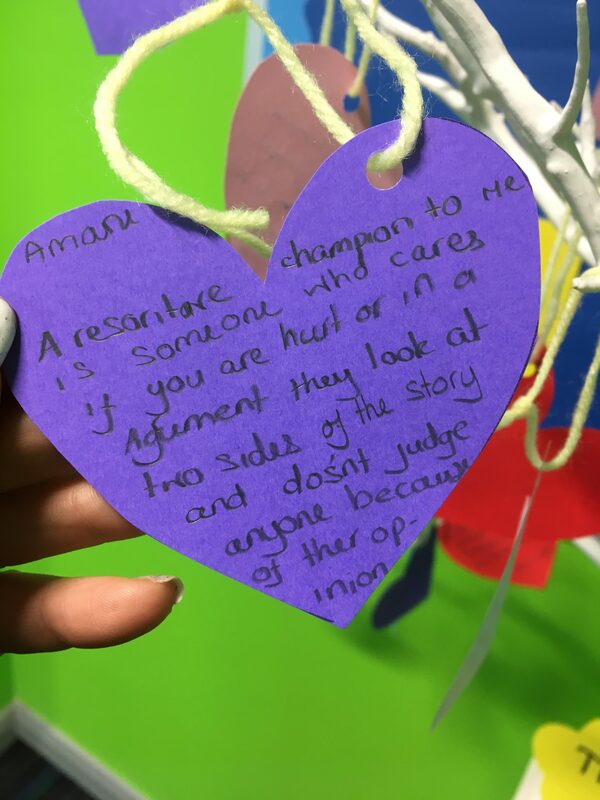 An increased belief in the ability of young people to take responsibility for their choices, and more people giving them opportunities to do so. 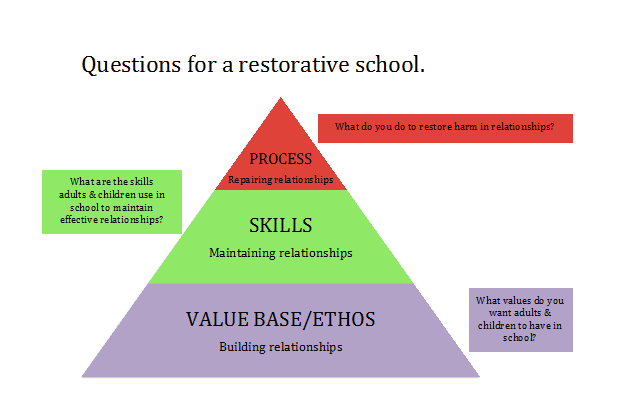 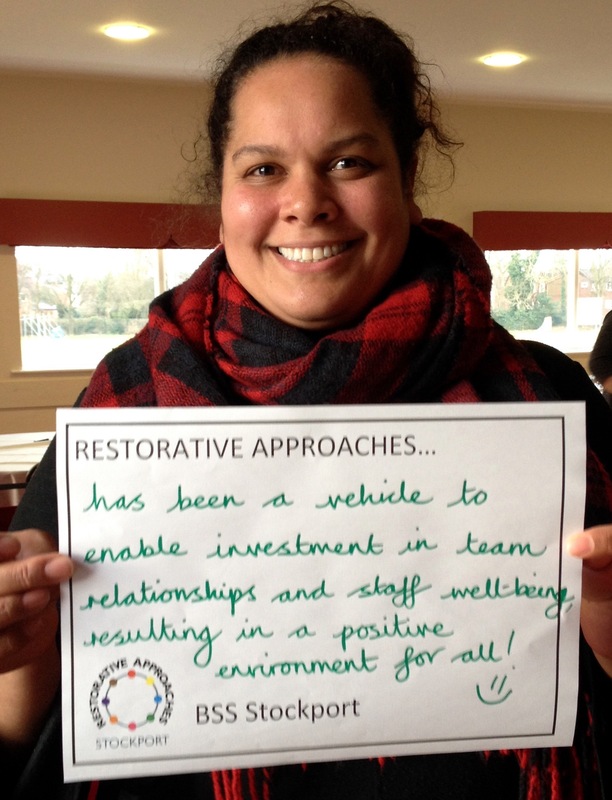 Restorative Approaches and Practices provide the foundation to build, maintain and repair relationships positively with the whole school community.